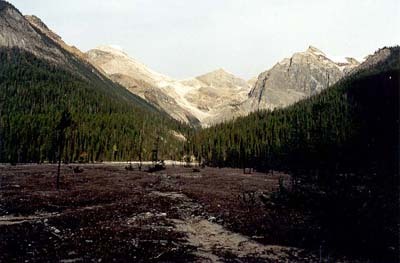 October 2001: This view from the alluvial fan east of Emerald Lake shows Emerald Basin. All Content © David Wasserman. All rights reserved - Commercial use without express written permission of the copyright holder is expressly forbidden.